Since 2005, 27th of January is designated to International Holocaust Remembrance Day. Every year on that day, the UN holds ceremonies to mark the anniversary of the liberation of Auschwitz-Birkenau by the Red Army (27/01/1945). 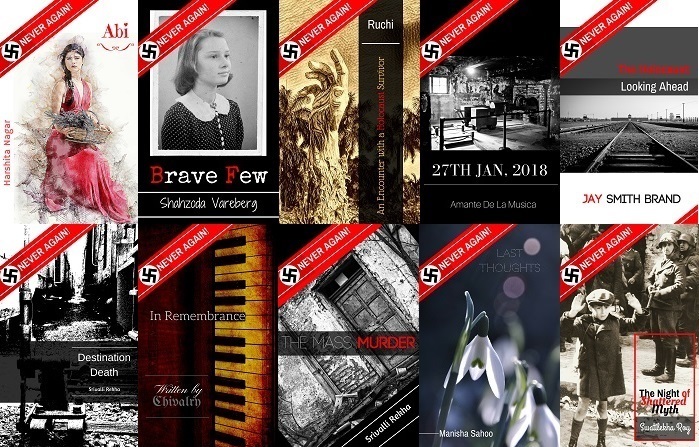 To honour the memory of the 6 million Jewish victims and 11 million of other victims of Nazis, Sweek decided to launch a writing project “Never Again!”. Sweek writers have written many touching stories in the past few weeks to raise awareness of this cruel genocide. We Remember. Write your own story and tag it with #neveragain to contribute to this initiative. The best ones might be featured. Check the “Never Again!” Holocaust collection on Sweek with stories, poems and plays written by Sweek writers and our brand ambassadors. You can also check this short video about the project made by its initiator and one of our Sweek Keeper: WATCH. **The next project run by one of our Sweek Keepers will be regarding International Mother Language Day on 21/02.